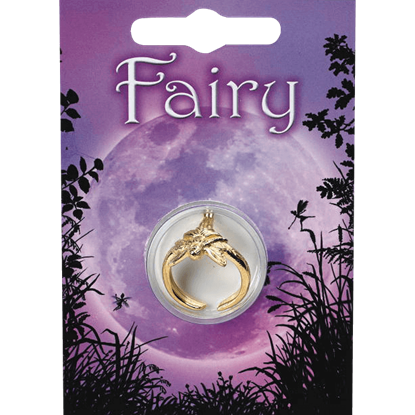 Invoke a touch of fairy magic into your everyday life with our selection of fairy rings. 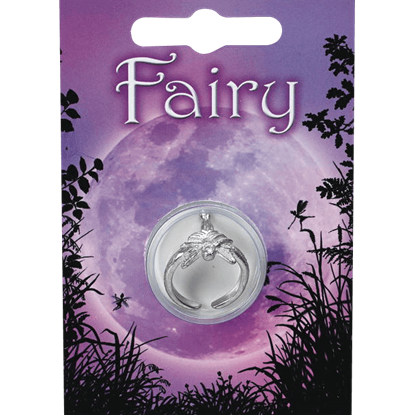 Our fairy rings are made of high quality materials like sterling silver, fine pewter, and white bronze. 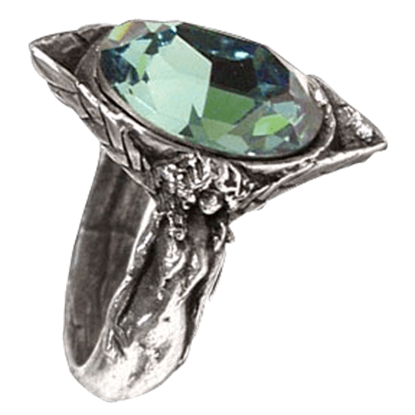 Each fantasy ring is gorgeously detailed with imagery straight out of the world of fairies. 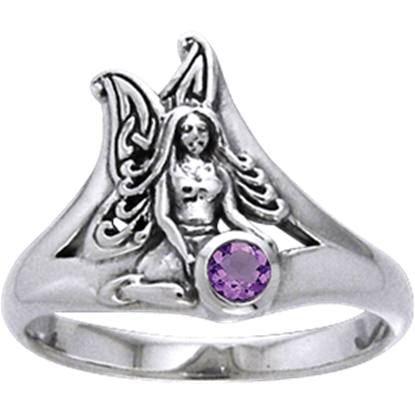 Shop our selection of fairy bands engraved with dancing fairy maidens, floral fairy rings, fairy signet rings, and jeweled fantasy rings fit for fairy queens. Fairy rings are perfect for adding a hint of elegance to every look and work well with everyday styles as well as with formal occasion outfits and imaginative fantasy ensembles. Fairies are mythical winged creatures with magical powers that live in the imagination of every youthful spirit. The Golden Fairy Princess Ring displays a whimsical fairy design at the top of the finger band. Fairies are mythical winged creatures with magical powers that live in the imagination of every youthful spirit. 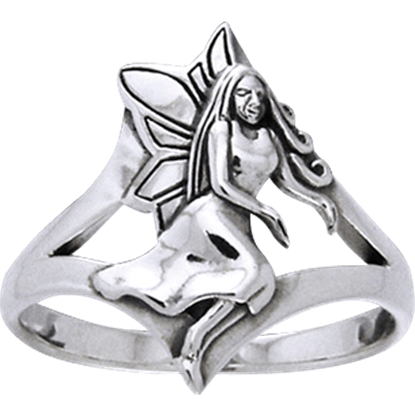 The Pewter Fairy Princess Ring displays a whimsical fairy design at the top of the finger band. Holding court within her airy realm, this member of the fair folk sits with a gemstone in her outstretched hand. 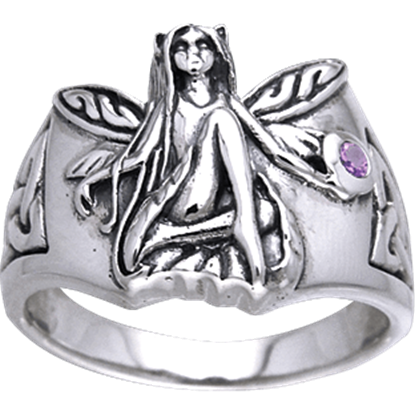 The White Bronze Celtic Fairy Gemstone Ring features intricate knotwork to each side of this winged fairy. This charming member of the fair folk will dance her way right into your heart! 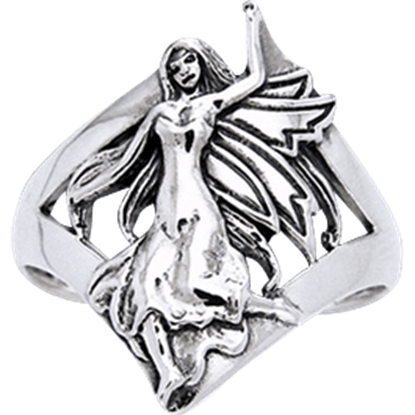 The White Bronze Dancing Fairy Ring shows off a winged fairy wearing a long dress, her feet kicked up in a whimsical, whirling dance. A winged member of the mysterious and elusive fair folk sits for a while to rest, holding a round, shimmering gemstone with her hands. The White Bronze Gem Fairy Ring captures the beauty and spirit of this elegant magical being. This fairy welcomes you and all your friends with open arms as she gestures to usher you into her abode. The White Bronze Welcoming Fairy Ring captures the enchantment, whimsy, and charm of the elusive fair folk.